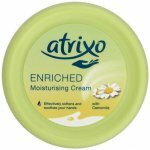 Atrixo Enriched Moisturising Cream - For soft and smooth hands - With Camomile. 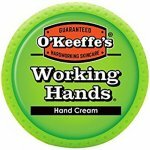 For dry hands. With soothing camomile. Dermatologically approved. 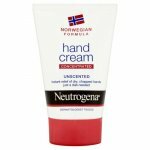 Atrixo Enriched Moisturising Cream effectively moisturises your hands to leave them soft and smooth. 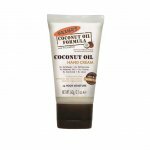 Perfect for those who use their hands daily or those who suffer from dry skin on their hands. 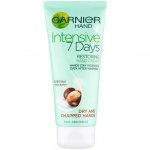 Apply on clean hands whenever they feel taut and dry. 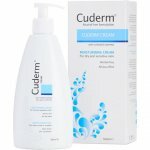 AQUA, CETYL ALCOHOL, GLYCERIN, MYRISTYL ALCOHOL, SORBITAN STEARATE, ISOPROPYL PALMITATE, TRILAURETH-4 PHOSPHATE, CERA MICROCRISTALLINA, OCTYLDODECANOL, DIMETHICONE, CHAMOMILLA RECTITA FLOWER EXTRACT, PARAFFINIUM LIQUIDUM, CAPRYLIC/CAPRIC TRIGLYCERIDE, SODIUM CITRATE, CITRIC ACID, PHENOXYETHANOL, METHYL PARABEN, HEXYCINNAMAL, HYDROXYISOHEXYL 3-CYCLOHEXENE CARBOXALDEHYDE, BENZYL SALICYLATE, LINALOOL, ALPHA-ISOMETHYL IONONE, LIMONENE, CITRONELLOL, EUGENOL, HYDROXYCITRONELLAL, PARFUM.